ACCOMPLISHMENT: In a 5-3 win over town-rival Warde in the third annual Sticks for Soldiers game, Berg scored two goals, including one with seven minutes to play that gave the Falcons a two-gal advantage on April 7. In a 12-4 win over Southington on April 5, Berg scored a goal and added two assists. On Tuesday in 23-5 loss to state champion Darien, Berg scored two goals. ACCOMPLISHMENT: In a season-opening 23-0 win over Harding on April 3, Grant had three hits, including a grand slam and had seven RBI. 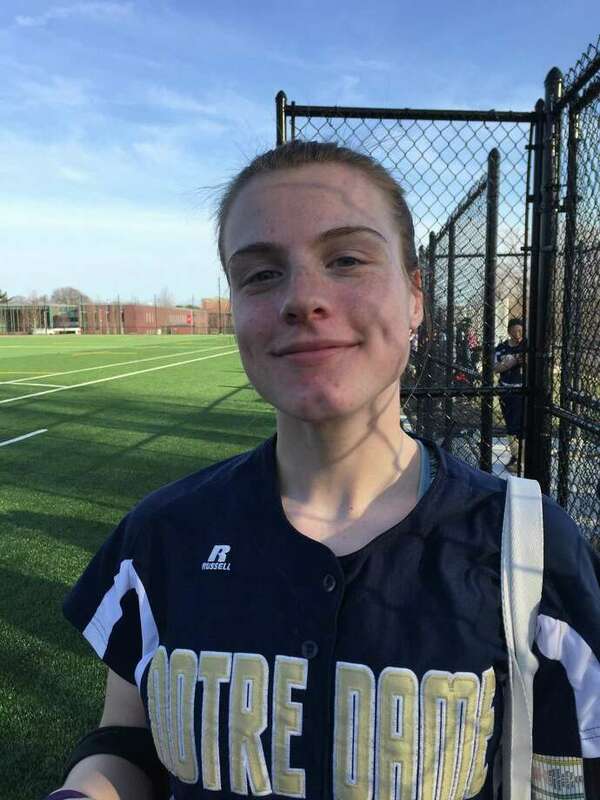 She had three hits, including another grand slam, with six RBI in a 23-0 win over Bassick on April 5. In an 14-0 win over HMTCA on April 7, Grant went 4-for-4 with three RBI. On April 8, a 17-1 win over Morgan, Grant had three hits and three RBI, in a 5-2 win over Immaculate on Monday, Grant had two hits and two RBI and in a 14-2 win over Bethel on Wednesday, Grant had two hits, two RBI and two stolen bases.